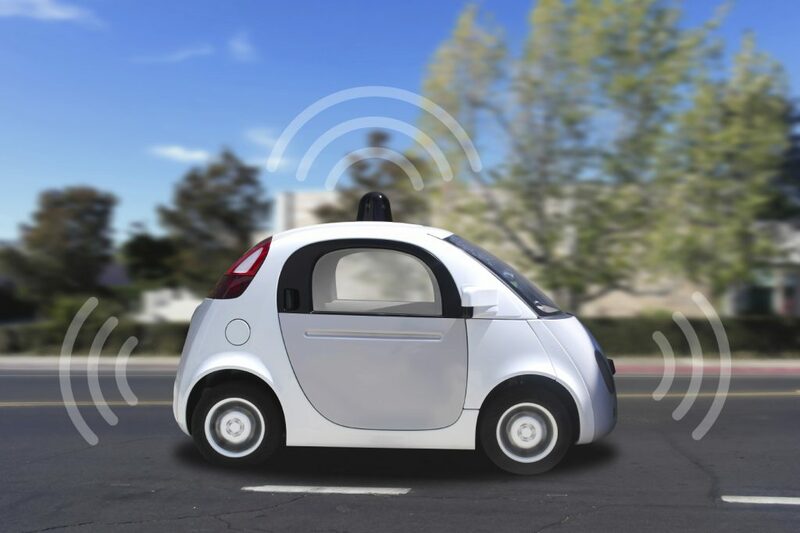 Driverless cars will be a reality within a decade and a proposed new bill that’s part of the Queen’s Speech will pave the way for it. The Queen has revealed legislation that will be introduced to allow driverless cars to be insured with regular policies. The government hopes it will result in cars that are autonomous (control themselves) becoming a common sight by 2025. Currently, the insurance industry believes 94 per cent of crashes are caused by human error. Driverless cars would cut this figure significantly. Independent organisation Thatcham Research, which works with the insurers to assess how expensive cars are to repair, has put together this timeline on how we’ll move into a world of driverless cars. Even cheap-to-run city cars such as the Fiat Panda can be ordered with technology that allows them to take control in certain circumstances. Cameras and radar monitor the road ahead. They can automatically apply the brakes or guide the vehicle back into its lane if they detect that the driver isn’t responding to a hazard. Some systems – Volvo has one called Pilot Assist – will drive the car at speeds up to 30mph, controlling steering, acceleration and braking. Currently the systems only work if the driver keeps their hands on the steering wheel. There will be an important development in the route towards self-driving cars in just two years’ time. Some cars, most likely upmarket executive models, will have an auto pilot function. The driver will have to remain in control but legislation will permit ‘hands-off’ driving on motorways. The car will continue to drive itself safely for up to three minutes if the driver takes their hands off the wheel. After that period elapses, the car will warn the driver that they need to re-engage with the car. If the driver doesn’t put their hands back on the wheel, the car will bring itself to a safe and controlled halt. Within five years, there will be defined segments of the motorway network where cars will be able to take complete control for longer periods of time. 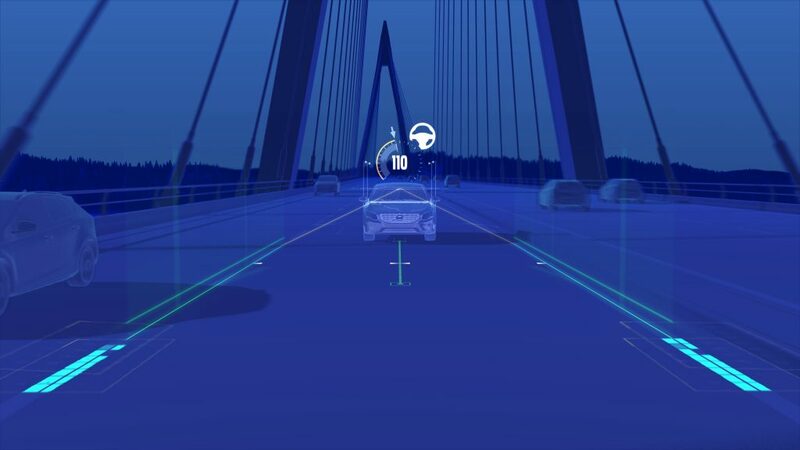 Using radar, cameras and laser scanners – many of which are already fitted to some vehicles – the car builds a complete picture of its immediate environment. This enables it to make informed decisions on braking and steering safely. The driver has to stay at the wheel but can perform other tasks such as reading. Within the decade a car will be able to drive itself hands-free from door to door. In addition to motorways, it will be able to navigate its way around the urban environment, including traffic lights, junctions and roundabouts. Vehicles that do this will have full connectivity with each other and the road infrastructure. The driver will be at the wheel but Thatcham predicts they won’t have to touch the controls. Who could be held liable after an accident: drivers, manufacturers, system developers, car dealers, car maintenance firms or a combination? How do we cope with vehicles at different levels of automation? How will data from individual vehicles be recorded and used to improve safety and clarify liability? Do there need to be changes to existing road traffic laws and what might those changes be? SO YOU ARE ON A MOTORWAY IN “HANDS OFF MODE”, THE THREE MINUTES ARE UP – HOW THE F**K WILL THE CAR BRING ITSELF TO A HALT. ISN’T STOPPING ON MOTORWAYS ILLEGAL EXCEPT IN AN EMERGENCY, WHERE WILL IT STOP – AFTER ALL MANY HARD SHOULDERS ARE NOW JUST AN ADDITIONAL LANE. WHAT I’VE JUST READ IS A LOAD OF B*****KS. IF AND WHEN DRIVERLESS CARS COME IN IT MUST BE FOR ALL CARS REGARDLESS OF COST, ON ALL ROADS, AT THE SAME TIME. BET THE EU IS BEHIND THIS LOT!!!!!!!!!!!!!!!!! Tend to agree with the above article. How can an a semi-automated car bring itself safely to a halt on a busy motorway. The conflict between automation and human driven cars will initially (likely?) increase road deaths and to some extent create incidental chaos. It needs to be one method or the other unless automation is highly ‘intelligent’. Also think about the broader picture of economics. The vast majority of people are enduring erosion of wealth, year on year. The future of technology and consumerism are driven by wealth creation, not by collapsing debt bubbles, austerity and government money printing. If you project financial likelyhoods in the same way as car automation, there is a rise in the technology but a decline in the ability to pay for it. At some point the graphs cross and the idea becomes increasingly defunct. And actually, one thing people never mention, is that relatively speaking, very few people die on british roads. No more than the number of people who die from infections they catch in hospital. And probably only a fraction of the numbers that die from other easily preventable causes. Only manufacturers and government want automation. Society per se does not need it. Man does less and less while machines do more and more. There is something very sick about a society that loses touch with reality in this way. I like driving. I think we are continually being led up the garden path by vested interests. Leaving the EU would be a good start to reclaiming our mental health. If someone had a heart attack whilst driving this could work if the car can access the hard shoulder and display hazard lights then call for help. This would be a good backup for drivers rather than replacing drivers. The human factor can be better than computer error. What about interference from storms for example. I have known storms to crash computers out. Then they’re are different magnetic areas. How will the world cope with all the redundant drivers. Humane disposal????? I am sick of telephone machines ringing me. Most people would talk to a person but I would like to tell the designers of the telephone automatons to go forth and multiply. If people don’t have jobs then no one will be contributing tax and insurance.